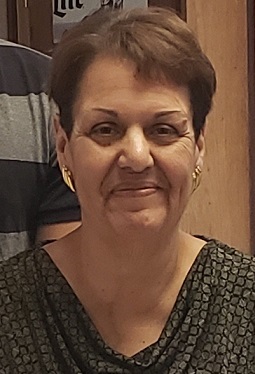 Our beloved wife, mother and sister went home to be with her Lord Tuesday, January 29, 2019 at Red Oaks AFC, age 60. Kathy was born August 16, 1958 in Bay City to the late Gerald and Evelyn (Ayala) Sharrow. She married William J. O’Neil in St. Mary’s Catholic Church on October 19, 1991 and he survives her. Kathy helped run The Crossroads Restaurant with her husband Bill. She also worked at Red Oaks AFC as a direct care worker. Kathy was a member of Our Lady of Czestochowa Parish-St. Stanislaus Church, the Ladies Choir, helped direct the children’s choir and was a Eucharistic minister and lecturer. She was a past President of St. Stanislaus Knights of Columbus Council #12423 Ladies Auxiliary. Kathy enjoyed volunteering at St. Stanislaus AC Festival, watching the Tigers and bowling. Surviving besides her husband Bill is a son Stephen O’Neil, two brothers and one sister: Jerry (Cathy) Sharrow, Patti (James) Matuszewski and David Sharrow, her mother-in-law Doris O’Neil, brothers-in-law: Chuck, Tim, Patrick (Amy), Mike, Kevin and Chris O’Neil, sisters-in-law: Jenny, Terri, Peggy, Karen O’Neil and Mary (John) Rittenberry, numerous nieces, nephews, great nieces and nephews, many cousins, extended family and friends. Kathy was predeceased by her father-in-law Pat O’Neil. Kathy’s family would like to thank Dr. Thomas Regenbogen, Mid-Michigan Cancer Center, all the staff at the University of Michigan Hospital and Red Oaks AFC for their compassionate care and sincere words of encouragement over the past several weeks.